PEFC is a worldwide, non-profit organisation promoting sustainable forestry and responsible management of all forests throughout the world. 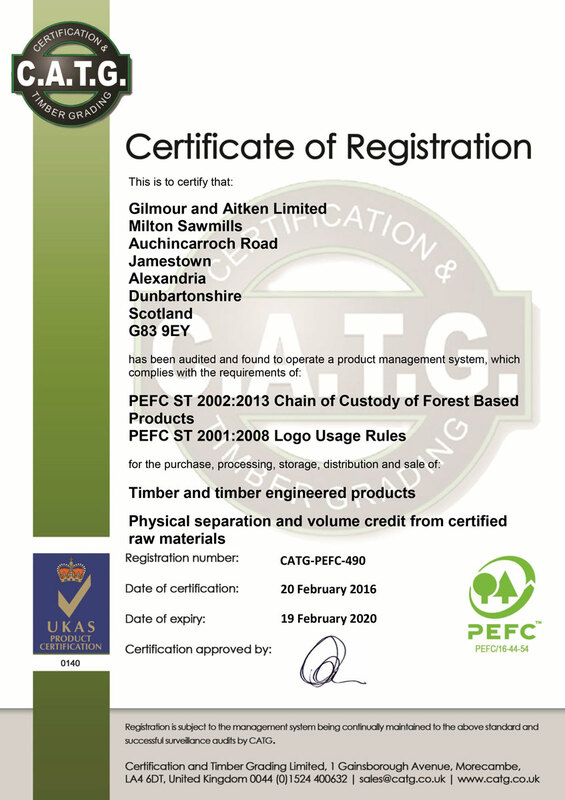 Gilmour and Aitken Ltd is certified as Chain of Custody suppliers of PEFC-certified timber. 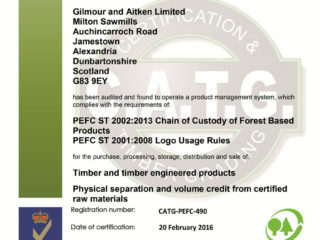 PEFC-certified timber can be identified by its PEFC logo. 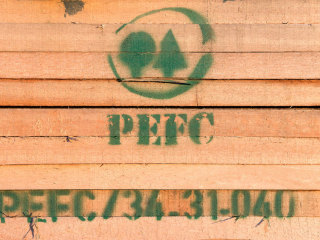 The PEFC logo indicates that the product has originated from a sustainably managed PEFC-certified forest. 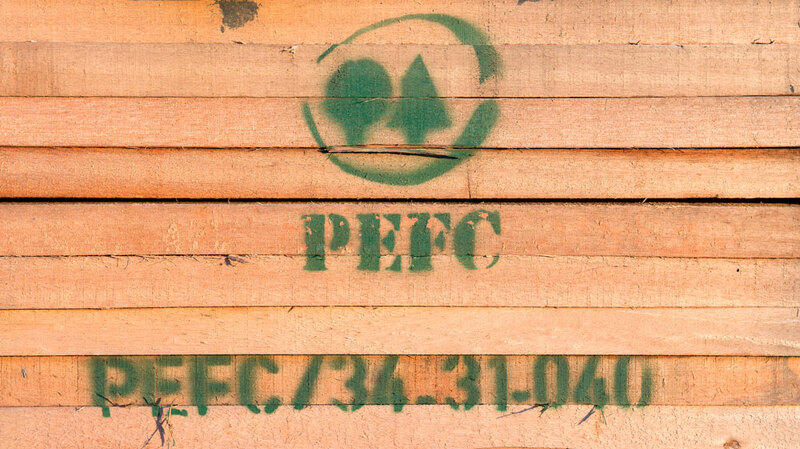 Only companies with PEFC-certified Chain of Custody are allowed to use the PEFC logo on their products.